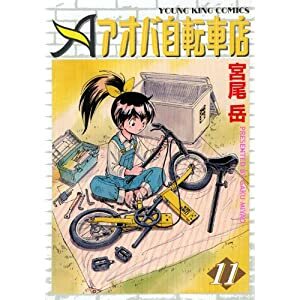 Teru Nonomura, a 8 years old boy moves to a small town with his family and shiny bicycle he just got. But no other kids ride bike there as so many hills in the town. The kids in the town stir up Teru to climb steepest hill without rest stop. After a number of falling, Teru finally conquers the hill. When he became high school student, he find the world of road racing. And people find his great talent as climber. 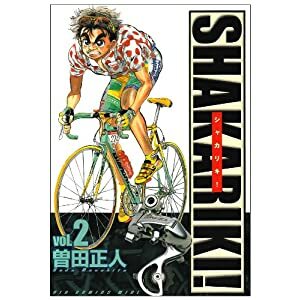 It is a small local bike shop in Namiki-bashi street. Kouich Toge and his energetic daughter Aoba, elementary school girl run their buisiness togather waiting Aoba's mother in convalescing hospital. They meet many people and many stories with many bikes. working hard to raise his daguhter Fukuno alone. 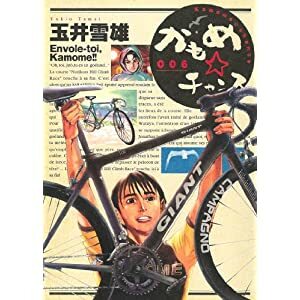 One day he breaks Handa's $14,000 road racer, GIANT TCR-100 ONCE by accident. "Increase your weight 70 pounds. 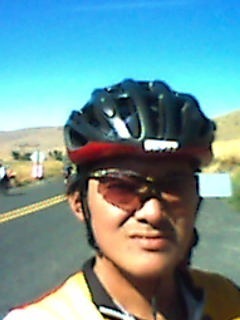 And then attend the Norikura hill climb race as my double, and complete the 4000 feet climb in 90 minutes." Sakamichi Onoda who just proceeds to Sohoku High School is a Otaku, loves Manga and Anime so much. He tries to find Otaku friends in the high school but everyone think him geek. 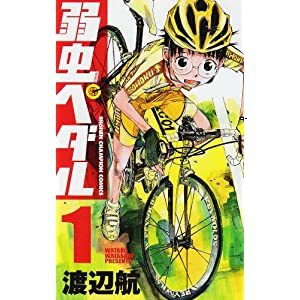 Shunsuke Imaizumi, who wills to win the inter high school road race finds Sakamichi climbing 20% hill to school with heavy dutch bike every day. This page contains a single entry from the blog posted on June 11, 2010 12:01 PM. The previous post in this blog was "Den-Do-Assisuto". The next post in this blog is Plan B in Rainy season.